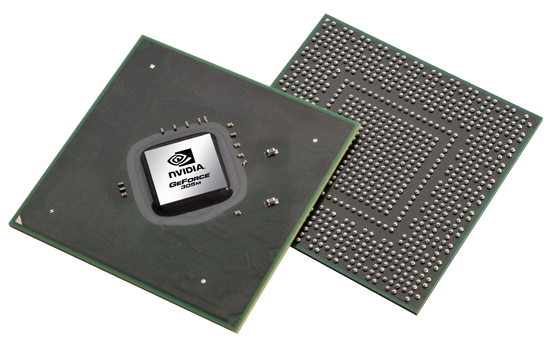 The Nvidia GeForce 305M or G 305M is a laptop graphics card for entry level (small sized) notebooks. It has a similar computing power as the GeForce 9400M (ION) integrated chipset but features dedicated graphics memory (up to 512 MB connected with a 64 Bit memory interface). The core of the card is based on the GT218 architecture and supports hardware DirectX 10.1 effects. The card supports PureVideo HD to decode HD videos with the graphics card (like Blu-Ray movies). PhysX is not really supported by the card, because of the lacking performance. The gaming performance should be only a bit better than the 9400M G and therefore only suited for non demanding games or games in low resolution and detail settings. It is compareable to the ATI Mobility Radeon HD 4350. Therefore, gamers wont be happy with the GeForce 305M. 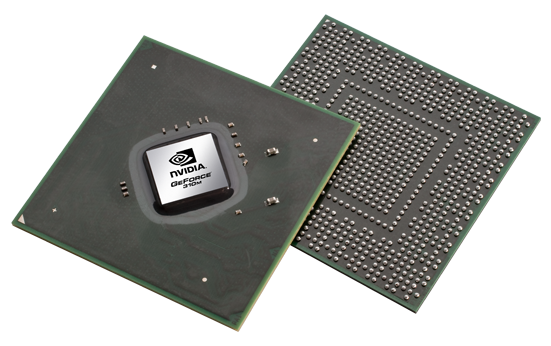 The Nvidia GeForce 310M is an entry level laptop graphics card and the successor of the G 210M and therefore based on the same GT218 core with very similar clock rates (shader speed +30MHz). However, there are also newer versions that are clocked at 606 MHz and therefore slightly slower. Nvidia states that the raw performance is 73 Gigaflops compared to the 72 Gigaflops of the G210M. Therefore, the 310M is an entry level dedicated graphics card for small laptops. The performance of the 310M is similar to the GeForce G 210M and therefore located in the entry level class. Modern 3D games like COD Modern Warfare 2 run only in low details and resolutions fluently. Some demanding games like NFS Shift or GTA4 wont run fluently at all. Less demanding games like SIMS 3 run in medium details and resolutions fluently. Therefore, the graphics card can not be recommended for gamers. The card supports DirectX 10.1 and all the features of the G 210M (as it should be based on the same GT218 core). Therefore PureVideo HD to decode HD videos with the graphics card is supported. The used Video Processor 4 (VP4) is able to fully decode H.264, VC-1, MPEG-2, and also MPEG-4 ASP (DivX or xVID) in hardware to minimize CPU load. MPEG-1 is not supported but can be easily handled by every modern CPU. As the 310M supports CUDA, DirectX Compute 10.1, and OpenCL, the shaders of the graphics processor can be used for other tasks than rendering images (e.g. faster encoding of videos). The used GT218 core is manufactured in 40nm and based on the desktop GTX 200 architecture. Therefore, the shaders have been reworked compared to the old GeForce G110M for an improved performance and battery runtime.